It is for certain that the future of a modern healthcare lies with artificial intelligence (for short AI) and machine learning. Integrated in the hospital infrastructure and even in a small private clinic AI can help doctors and medical specialists to help patients faster, to make a more accurate diagnosis and to prescribe a more efficient treatment. In some cases, it can even overtake minor doctors work and help medical specialists to concentrate on a more important matter. The AI can read and interpret words through natural language processing, thus understanding patients and doctors better. So, for example identifying skin cancer. Everyone has moles they are suspicious of and only doctors after an inspection can say if any of those are dangerous and possess a potential cancer risks. Imagine that you don’t need to spend hours in a waiting room to get examined and its every time you get suspicious marks after the sunburn. All you will have to do is to take a photo of it with your phone camera and send it over for AI to analyze. It is much easier and certainly less time consuming. Scientists at Sandford University have managed to teach a computer program to recognize and spot “carcinoma” and “melanoma”, two of the most common skin cancer types. Melanoma is especially dangerous type of a cancer, that can lead to the death of a patient. Scientist of Sandford University have used an AI software that was originally created by Google with purpose to spot the difference between images of cats and dogs. After some adjustments, AI started to learn, during this training process it looked through more than 120 000 photos of different cancer types and was told what type of cancer it was looking at, it learned how to recognize the differences. The AI has shown some incredible results when tested against 21, trained skin cancer specialists, reaching nearly the same results as the doctors. Of course, AI cannot completely replace a real doctor, as in some cases it is not enough to just look at the spot, a more detailed tissues analysis needed to be done, to identify some cancer types. But, with a correct training, it still has a very high potential, to become a professional doctor’s assistant in the future. 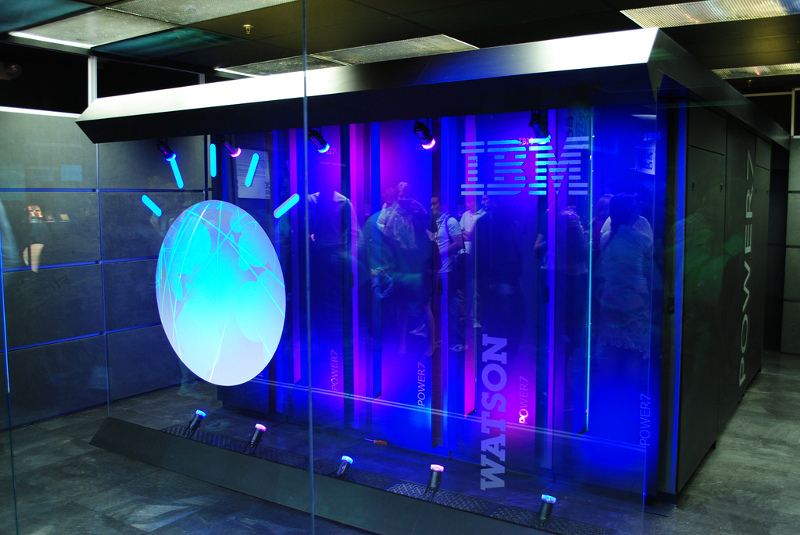 The renowned IBM’s AI — Watson has also showed some incredible results in cancer treatment. The university of North Carolina has tested Watson abilities in 1000 cancer cases, in 99 percent of the cases, it has suggested the same treatment method as a trained oncologist. In some cases (around 30%) it has also suggested some other options that the doctors have missed. All thanks to the ability of an AI to processes and learn from many more papers and medical cases than any human doctor can manage. Now IBM is working with a medical lab company Quest Diagnostics to provide a cloud service for oncologists, combing the gene sequencing with Watson analytic abilities.